The soybean or Glycine max is an annual herbaceous plant in the legume or bean family. It originated from southeastern Asia and was domesticated more than 3,000 years ago. This highly popular plant has edible seeds and is now one of the world’s most important legume crops. It is grown in diverse climates worldwide and has been a dietary staple in Asian countries for at least 5,000 years. With it being the most widely used vegetable oil in the world it is highly cultivated and utilized. Its physical properties are one of the reasons it is a favorite oil to use alone or in an oil blend. It has a light color with a mild flavor. When used with other oils it will not negate those oil flavors, aroma, or texture. 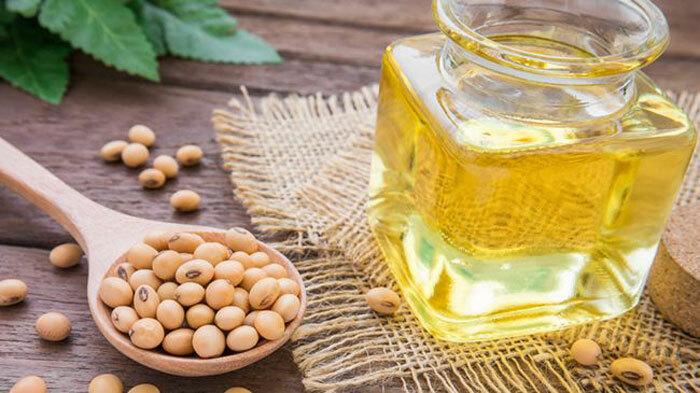 Widely used and commonly called vegetable oil, soybean oil is inexpensive, has a high smoke point, and an abundance of good fatty acids. There may be controversy on whether to consume soybeans in all its various forms, but there is nothing but good things to say about applying the oil to your hair. Soybean oil’s main asset to hair is moisture retention. This carrier oil is full of good fatty acids, manganese, and vitamins. As if that is not good enough, the lipids in the oil helps hair treatments to absorb better into your hair. A non-greasy carrier oil that will improve moisture retention and shine. Only a dab is needed so it will last a long time and is great for all hair types. There is a high vitamin E content in soybean oil so it will fight off free radicals while also being a helpful antioxidant for the scalp. 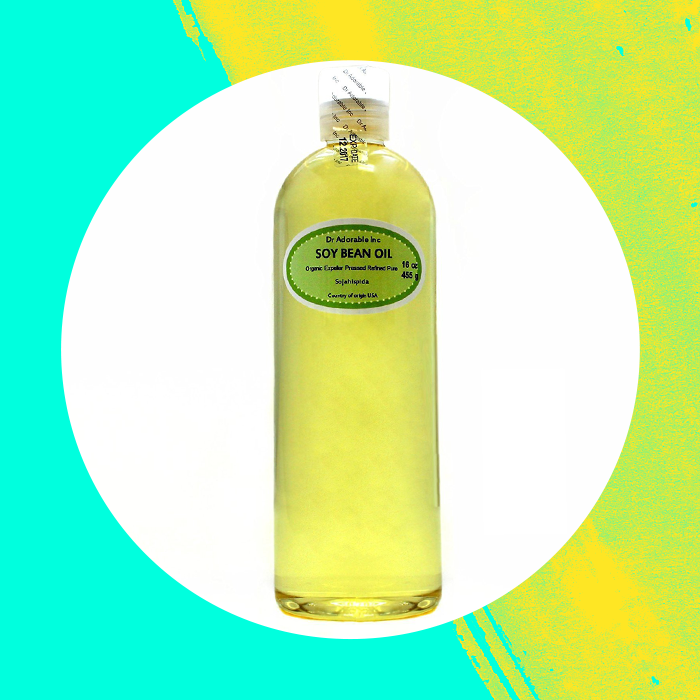 This non-greasy oil is great for sealing your hair and ends and for usage as a base oil for essential oils. Soybean oil is great as a hot oil treatment, pre-poo, and adding to conditioners. Simply warm up 1/3 cup of soybean oil and apply to hair and scalp evenly. To use as an oil rinse, cover with a plastic cap, leave in for 30 min., and then rinse out with warm water. Shampooing is not necessary. You can also use soybean oil in your LOC or LCO method to combat dry hair. We have a few products that use the moisturizing oil to help retain moisture in your hair.